Depending on the species of choice, best advice would be to take along a mix of lures best suited for that fish. I would also carry along a few that are simply "go-to" multi-species lures such as the Original Floater® and Shad Rap® in several sizes. If the fishing gets tough or the weather turns cold... remember to down size the lure and go smaller. For success catching walleyes while drifting and casting, it would be a #11 Minnow Rap®. For big Pike a #15 X-Rap® SubWalk™. 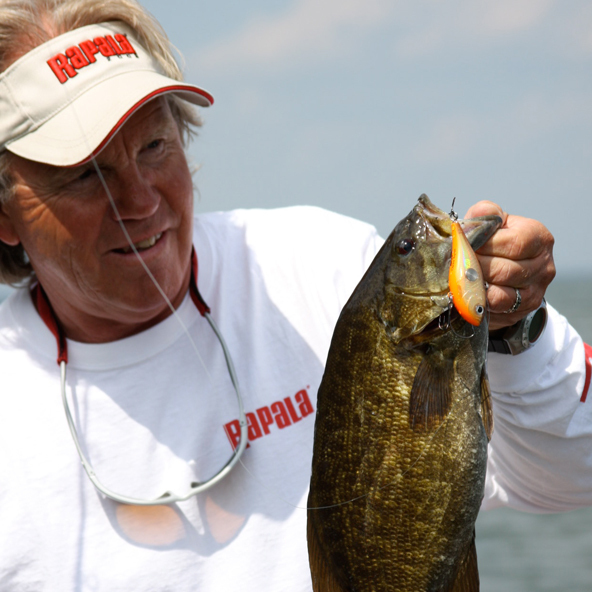 For smallies a #10 X Rap® and Largemouth a DT® 10. The next time I take someone fishing... they're all favorites.